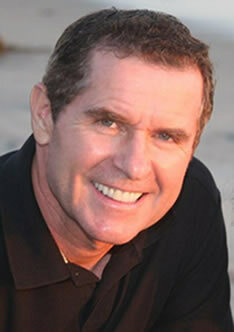 Dr. Stephen Henry is an orthodontic specialist with over 26 years of experience making people smile. A native of Boston, Massachusetts, he earned his orthodontic degree from the prestigious Boston University School of Graduate Dentistry. Now serving the city of San Diego, Dr. Henry stays involved in his progressive field by consistently attending 100 hours of continuing education each year. He is a member of several professional organizations including: the American Association of Orthodontists, the Pacific Coast Society of Orthodontists and the American Dental Association. 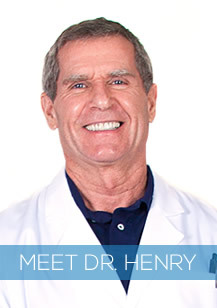 Dr. Henry and his staff are dedicated to providing personalized service in a warm and caring setting. Our goals are to create ideal and permanent solutions for misaligned teeth and facial imbalance to enhance the appearance and self-esteem of our patients. This commitment to providing care reflects the value we place on the well-being of our patients. We provide comprehensive solutions to their orthodontic problems as well as creating satisfying relationships based on patience, trust and mutual respect. As far back as he can remember, Dr. Henry always wanted to be an orthodontist. To this day, he loves making people smile. He is very much a jokester that knows how to keep things professional yet fun. One time, he even instigated a water squirting battle in the office. All the patients and staff got involved in a flurry of laughter. Dr. Henry enjoys traveling with his wife and two daughters (who are all previous braces users with beautiful smiles perfected by Dr. Henry! ), boot camps, jogging with his dog, reading, watching baseball games, and telling jokes. If any patients have a joke they would like to share, he’d love to hear it, particularly if it’s about dentists! So come get to know him in person, he would love to meet you!